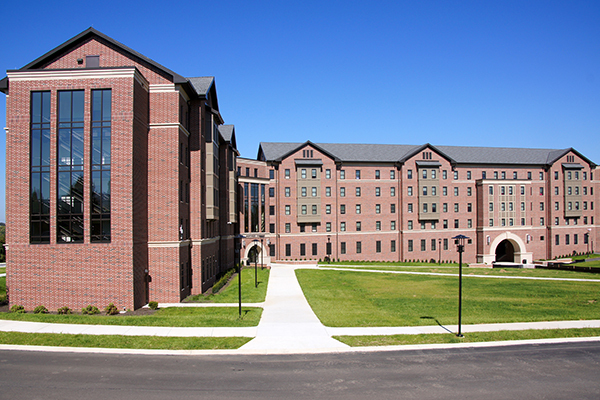 Mechanical, electrical, and plumbing engineering services for a new residence hall. The 80,000 sq. 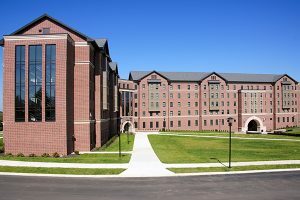 ft., five-story residence hall contains 171 units and provides housing for 270 students in single and double bedrooms. The building, which is occupied by freshmen and returning students, includes common areas and lounges for its residents.